The CBI (Chrony Bureau of Investigation) on Thursday made a noble deed by saving David Beckham. Apparently Beckham had tried to commit suicide. He had seen the above picture of Vijay and that might be the reason for his heartbreak. How ever the exact reasons for his suicide attempt has not been discovered. Introduction of Hero through a song or through a fight. Usually Vijay emerges out of a Steel shutter or through a crowd or through his bike riding skills. In one movie he even emerged out of the sea. Click this [link] to read Chronicwriter's review on the movie Sura in which Vijay emerges out of the sea in the introduction scene. One Kuthu song. It doesn't matter even if it doesn't fit into the movie. Vijay will always have one sister in every movie and he will do anything for her. His best friend will be killed by the baddies. The heroine will be the daughter/bride/ sister of the Villain. The old ladies and grandpas in the locality always love our hero. Punch dialogues with non-synchronising hand gestures appear every now and then. Chronicwriter gets bashed up by Vijay haters because Chronicwriter is a big fan of him. After a series of 5 flops, Chronicwriter also started pulling Vijay's legs and hence ditched his brand loyalty towards his favorite hero. Actor Vijay has acted in commercials too. He is the only actor in the world whose commercial also flopped big time. Check the commercial here. The commercial is in Tamil. If you don't understand Tamil, you are very lucky. The commercial is not worth a single penny. How ever Vijay has bounced back with a beautiful commercial through Joy Alukkas again. Hope he finds his new rhythm in his forthcoming films. On other news, Chronicwriter's favorite footballer Ronaldo (Brazil) is making is hollywood debut at the end of this year. Hope he doesn't join the big list of sports personalities who have proved to the entire world that they can't act at all. 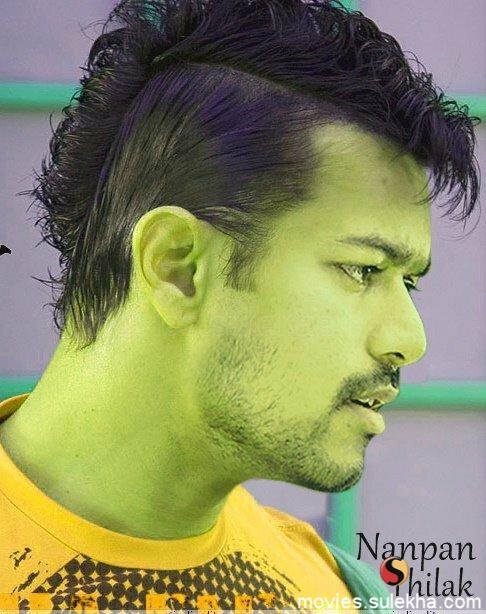 neenga Vijay fan-aa? Aaahaa! theriyaama poche. I will keep eet in mind. ha ha... Good post :) sura va maraka mudiyuma? Good to see your frequent posts...then TR now vijay. Seriously pathetic ad. I'm coming to Chennai on 13th June. Will carry a stone. Will throw at your car.